We are Venetian mirrors supplier and we want to share the challenge of model selection to your mirror. Incomplete indeed feel if in your room is not found as a glass mirror. Almost certainly faithful women need a mirror as aids in beautifying themselves. The main function of the mirror is as a tool to help us in the dressing. Certainly very difficult if not there, how can we be perfect when going or attend the wedding? Therefore, the mirror has an important role in the dressing room or bedroom. 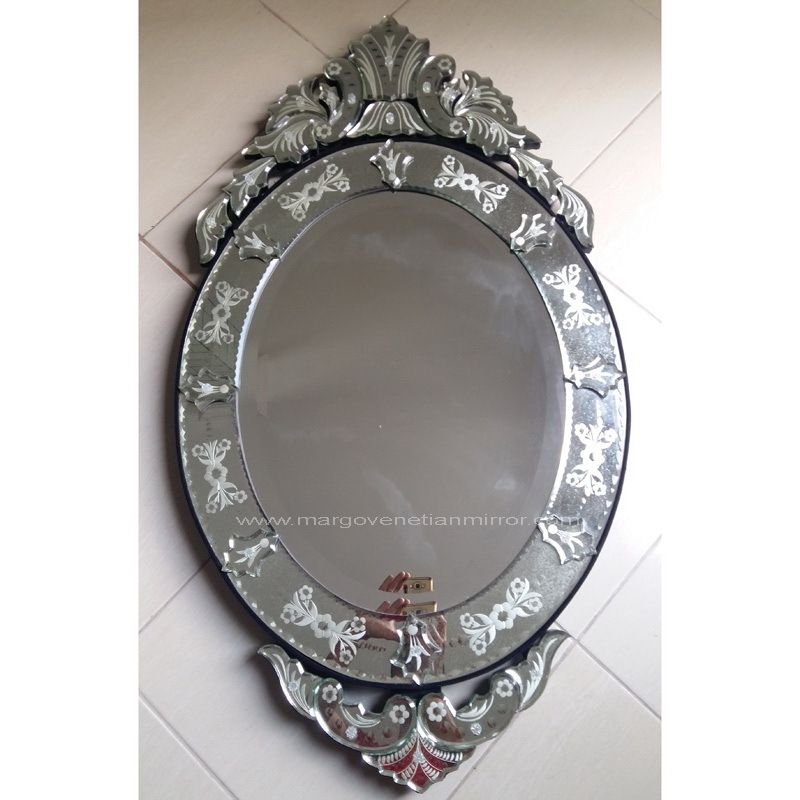 Here we want to share how an article about choosing the right mirror and its placement so that the mirror will have dual functionality aside from the mirror can be an ornament to the room, especially for a makeup Venetian glass vanity mirrors. First of all to be in the know is the area of your room. Why is this important? Because it puts the mirror if it does not fit in the space will not be good in view. Suppose a small space with a full size mirror that will certainly make the room so narrow, how do you put a dressing table and chairs? What should stand up when you dress up? Of course not!!!! Venetian mirrors small with size of about 80cm high with oval model and plug right in the middle of the dressing table. Another choice is Heart Venetian mirror, round or square with a maximum height of 80 cm. for while the vast space you have many choices. Size mirror with a height of 140 cm and above are very intelligent you choose. Even Long Venetian Mirrors can also make the choice. And a design that extends up from the floor to the size of our height. This mirrors the size of about 180-200cm with a width of about 60-80cm. placement could stand in the corner of the room and in the front bedroom. Because the mirror is as mandatory equipment that must be fulfilled, then placing it also must be right. While the right spot is next to the mean or the front room window. With a circulation of fresh air in and out can provide comfort and at ease when improvement. Another style choice is a tri fold dressing table mirror.This mirrors the model is different from other models of the mirror. This mirror has two small mirrors on each side of the middle of the glass with the side glass somewhat forward position. While the way the installation of this glass cannot be hung on the wall, but had to stand right in the middle of your dressing table. So that when we sit in front of the mirror we will easily see the rest of the right and left of us. The right size is 70-90cm high with a width of 80-100cm. This was one of the advantages of this style.